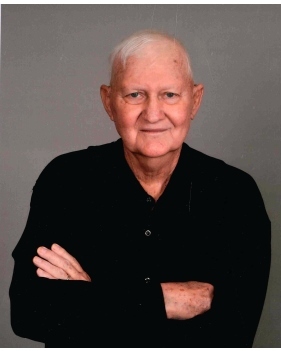 Joe Riley Diffie, 79, of Velma, Oklahoma, passed away peacefully, Saturday, November 24, 2018 of cancer. A celebration of life service will be held at 10:00 a.m. on Tuesday, November 27, 2018 in the New Hope Baptist Church, located at West 200 S. 42nd Street, Duncan, Oklahoma. Rev. Randy Southerland will officiate and will be assisted by Pastor Jeremy Higle. Funeral services are under the direction of Don Grantham Funeral Home. The family will visit with friends at the Don Grantham Funeral Home 3032 North Hwy 81 Duncan, Oklahoma, on Monday evening from 5:00 p.m. to 7:00 p.m.
Interment will be held on Wednesday, November 28, 2018 at 2:00 p.m. at Jones Valley Cemetery in Caddo Gap, Arkansas. Joe R. Diffie was born in Shawnee, Oklahoma on March 14, 1939 to his beloved parents, J. D. Diffie and LaVerna (Ewing) Diffie. 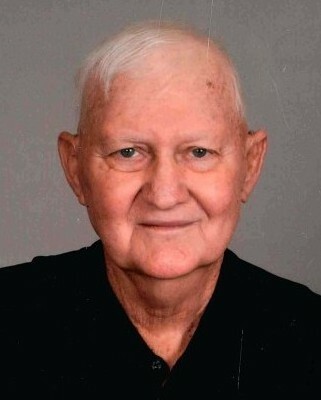 The family moved to Alma, OK and Joe attended Velma Alma High School graduating in 1957. He married the love of his life, Flora, on August 25, 1957. Their home soon filled with their three children, Joey, Meg and Monica. Joe and Flora moved their family to Ada, Oklahoma and acquired Bachelor Degrees from East Central University. Mr. Diffie also served in the Army and the Air Force reserve while attending college. Over the years he worked as a teacher, coach, welder, truck driver, and drove entertainer tour buses for several artists, including Tim McGraw, Ricky Skaggs and Toby Keith. Mr. Diffie loved music with a passion, in particular, bluegrass music. He had a natural ear for music and taught himself to play several instruments including the piano, guitar, mandolin, and his favorite: the banjo. He was a gifted singer and regularly regaled his family and friends with his favorite songs. He learned to love poetry at a very early age and committed several to memory and could, with total recall, recite the poems to his family and friends. He was affectionately known for his love of jokes; it seemed he had a joke for every occasion. He loved hearing jokes as much as telling one. He frequently shared his great sense of humor and boisterous laugh with family, friends and new acquaintances. His great laugh will forever echo in our hearts. Most of all, he had a deep love for his family. He loved nothing more than family gatherings, sharing laughter, food and fun and just being together. He was a favorite of all the grandchildren as well as his great grandchildren. He loved the family reunions at Caddo Gap, Arkansas. He looked forward to catching up with all his relatives there every year. He is survived by his loving wife Flora (Lowrance) Diffie; son and Country Music Artist, Joe (Joey) Diffie of Nashville, Tennessee; two daughters, Meg (Margarett) Prestidge of Yukon, Oklahoma and Monica Stiles of Franklin, Tennessee and their spouses Tara, Ty, and Keith respectively; thirteen grandchildren and sixteen great grandchildren; a host of nieces and nephews; sisters, Priscilla Diffie-Couch of The Woodlands, TX and Dawn Anita Plumlee of Alma, OK and husbands Mickey and Jerry, respectively; and so many other family members and friends that he loved dearly. Pallbearers will be the beloved grandsons of Joe Diffie. Honorary Pallbearers are Lloyd Ely, Jerb Bryant, Shan Files, Kent Pogue, Tom Saville, Harvey Love, Gene Davis, and Lynn Byford. Condolences may be left to the family at www.granthamfuneralhomes.com.